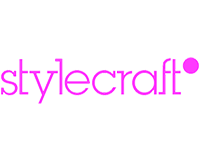 Stylecraft is a distributor of exclusive international and Australian manufactured, quality designed, commercial furniture to the architectural and design community. Stylecraft offers a solutions-based sales approach with a dedicated sales team consisting of industry professionals and interior designers. Showrooms are located in Sydney, Melbourne, Brisbane, Canberra, Perth and Adelaide, as well as Singapore, which services the Asian region. The Stylecraft collection of international brands includes Arper, Akaba, Stua, Tacchini, Capdell & Ritzwell. A strong supporter of Australian manufactured product, the Stylecraft range also features designs from local designers including Alexander Lotersztain for Derlot, Onethird, Ross Gardam, Cornwell Hecker for ESO together with our own exclusive in-house collections. Throughout the Stylecraft product range, priority is given to companies and manufacturers with ISO 14001 certification and products carrying independent Eco label accreditation. It is important to Stylecraft that these companies are committed to sustainable production, reflecting its own commitment to a better world and a healthier workplace environment. Proudly, Stylecraft is Australia’s first Carbon Neutral commercial furniture company. The integration of environmental requirements in the selection of our product ranges is Stylecraft’s ongoing focus for a reduced environmental impact.